Unless you’re an extreme minimalist, I can guarantee that at some point in your life you have looked around your home and wondered when the heck you accumulated all of this crap. Maybe you’ve even wondered where most of it came from or how it wound up hiding in the depths of your closets or lurking in the corners of every room. 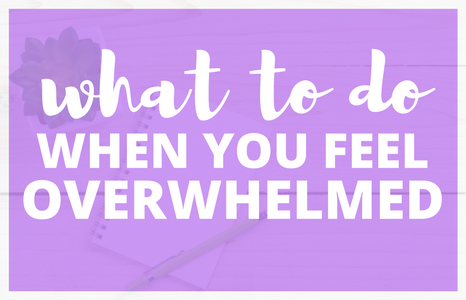 We’ve all had our moments of feeling like we are drowning in clutter and become overwhelmed with not only how to tackle the mounds of crap we’ve accumulated, but to make sure they never creep their way back into our lives again. 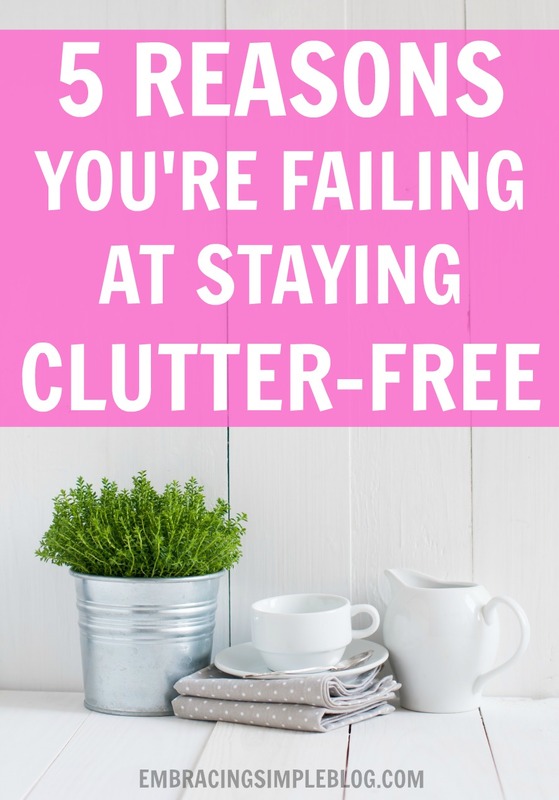 Even recently I’ve found myself doing huge purges in our home and asking myself why I feel like I’m failing to stay clutter-free every once in awhile. I came up with a few reasons why I think most of us feel like we are overwhelmed with possessions, and I found it to be a really good reminder to keep in the back of my mind to hopefully curb the intake of clutter coming into our home in the future. I thought I would share with you all too in case you are in need of the same kind of inspiration when it comes to keeping your “stuff” to a comfortable minimum. Sometimes really well organized possessions can give us the impression that we did a great job at purging the excess in our homes. It’s true, I’ve caught myself doing it on many occasions 😉 . While it’s all good and dandy to have everything neatly organized, it isn’t always the easiest to keep up with as time goes on if there was just too much stuff left in your home to begin with. A much easier tactic is being ruthless when you’re decluttering, and then leaving yourself with less stuff to organize and put away to begin with. Whether you tend to save things for “just in case” scenarios that never seem to come about, or are having buyer’s regret and can’t fathom getting rid of something you once paid good money for, there are so many reasons why we are guilty of keeping items long after they have served their purpose. Give yourself the permission to purge those items without guilt, knowing that you will feel so much more free and at peace after you do. Maybe you have 5 pairs of scissors laying around your house, or have 3 versions of the same sweater all in different colors. Is it really necessary to keep all of these extra things in your home? Perhaps sometimes it does makes sense to have multiples of certain items, but usually we can make do with just one! My favorite rule to staying clutter-free is the “one in, two out” rule. Every time I bring a new item into my home, I try to either donate or throw away two other items. 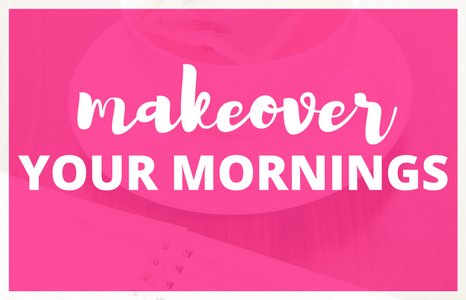 This is such an easy way to keep your decluttering efforts in tact for the long-term! While I wish staying clutter-free was a peace of cake once you actually go through the initial purging process, that’s unfortunately not the case. In order to continue enjoying a clutter-free home, you have to continually toss or donate items that you no longer need. If you are like me and are in the season of life where you have young kids at home who are growing like weeds, it can be particularly difficult to keep up with the constant flow of clothing, toys, and gear that seem to infiltrate your home on a daily basis. 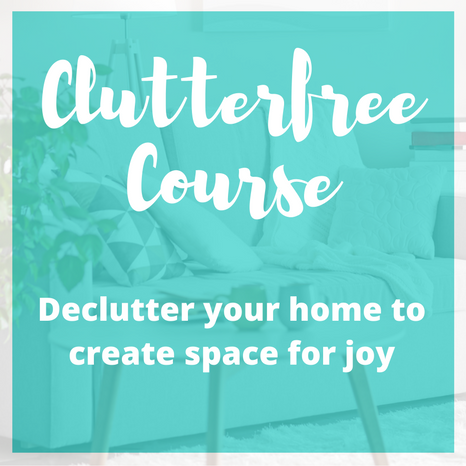 Whether you have kids or not, I find it easier to do a little bit of decluttering here and there rather than having to go through another huge purging session. This way you can get rid of items as they no longer serve your needs anymore, instead of feeling overwhelmed by the clutter creeping back in on you. 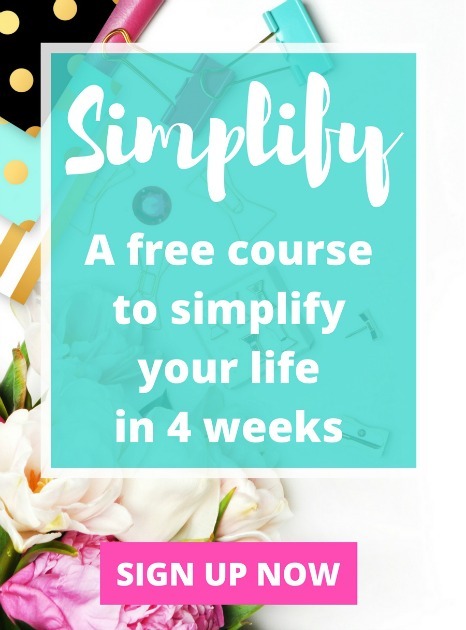 If you want more tips to help you declutter your home, be sure to click here to sign up for my free 4-week course. What are some other reasons you can think of that you’ve failed at staying clutter-free in the past? Share with me in the comments below! This is the perfect post for me. I’m in the midst of spring cleaning and having a hard time de-cluttering. But, I think you’re right, just doing a bit at a time helps. I like the “one in, two out” rule. I don’t have that rule, but I feel it’s going to be a rule for us pretty soon! Clutter is such an issue at our house! I clean out the infamous “junk drawer” and it’s filled up in no time… My goal is to start ditching the duplicates, and getting rid of stuff that has no purposes. These are all such great tips! Thanks Sahvana! Yes!! Start with the duplicates and go from there, it will help you get into that “purging” mentality more easily! I’ve just decided to move my shoe hanger to the coat closet. I rarely put on shoes unless leaving the house anyway. I’m hoping that move will help me become more aware of which shoes I actually wear. Aw thank you Linda! I have REALLY missed blogging and so appreciate your sweet comment! This is all true for me. I live in a large one-bedroom apartment and have way too much stuff and old stuff I no longer use. I always keep things thinking “what if I’ll need it in the future”. When I move next, it will be into a smaller place to force me to be more conscious of my items. I used to constantly allow myself to get caught in the “what if I need later” mentality too Aliyyah. It can be difficult to get out of that mindset and realize that if you haven’t used the particular item in X amount of years, there’s probably a good chance you won’t ever need it. I know it’s SO much easier said than done though. Clutter is an issue especially when raising kids. I started cleaning out the house about a year ago and I am still working on it. I can get so far and then I have to stop. I have baby clothes and toys that bring me great memories that I cannot part with. I have school projects that I have saved that I need to let go. The kids are 27 & 24! It is a work in progress…. I absolutely agree, Christina!! I just helped a friend declutter this weekend and wow– she ended up with so many things, still. It’s definitely a process. A change in our spending habits, and a change in our perspective. Thanks for writing this! You’re an awesome friend for helping her out Daisy! 🙂 Thanks for sharing! I have to admit that I am guilty of more than one….or three of the things on your list. I couldn’t help but nod my head as I read your post. 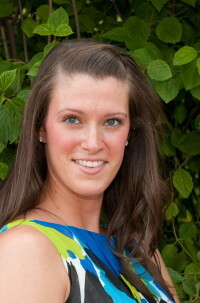 Now that I am expecting twins, I have really started to evaluate what my family truly needs and what we can get rid of. It’s a big process but one I hope to accomplish. I’m not sure if I’ve said it before, but huge congrats on the twins Tennille! Looks like we are due right around the same time, so fun! 🙂 Good luck with the decluttering process, I’m sure nesting will kick in and you will have it all tackled before you know it! I hate to admit it but I cannot bother with the clutter process until my mind is there. Like if I am having a really bad day I just won’t bother. I have some goals though I have a stack of newspapers from a job I no longer do that I need to get in a bag and give to my parents they will use it for wood fires. And I have some report covers for tax stuff to get done which is currently laying messy on a bookshelf. 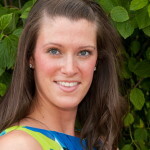 It’s definitely tough to tackle clutter if you mentally aren’t there yet Lee Ann! I would say that if the cleaning/decluttering bug bites you at all in the near future, just try to take advantage and power through some of it at that time. I find I really plow through more clutter when I’m in the right mood versus when I don’t feel like doing it at all! I’ve been guilty of all these things at one time or another. I just did a major garage reorganization yesterday and I couldn’t believe how much stuff was hanging around for absolutely no reason! The one in, one out rule is such a good idea to remember. I think we all have Samantha! Haha. Way to go on reorganizing and purging the stuff in your garage though, I bet that felt great! I love these tips! Especially as my blog is mainly about simple living. 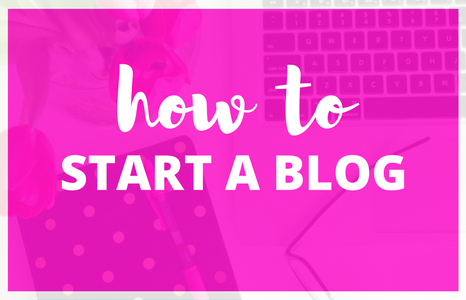 I try to be accountable to the things that I blog about and I’ve realized that clutter has began to pile up again. But you are definitely right about just taking time, and actually purging items by getting rid of things when you bring something new in. Great post! I only have beautiful much loveved items in my house. What is amazing is that all these gems start to look like clutter at some point! Too much is too much – there’s no way round that. So I try to keep my eyes alert and do some letting go before the clutter affect arrives. Which leads to having a nice stock on lovelies in the attick… I’m slowly waking up to the charm of minimalism. Thank You very much for the powerful texts. You are helping me a lot. You have a family that doesn’t care about keeping things neat and tidy?! It’s disheartening. What do you do when your husband is always saying don’t throw that out I might need it? I have so much stuff that he hasn’t used in years but he won’t let me get rid of it.